The researchers looked at M87 below, first, because it’s an enormous elliptical galaxy 55 million light-years away that harbors a mind-boggling supermassive black hole somewhere between 3.5 billion and 7.2 billion times the mass of the sun. It’s a bit easier to resolve than Sagittarius A* because it’s less variable over short timescales, Doeleman , explained. M87, is an enormous elliptical galaxy 55 million light-years away that harbors a mind-boggling supermassive black hole somewhere between 3.5 billion and 7.2 billion times the mass of the sun. At the small end of that range, M87 would be an impossible target for EHT observes . At the high end, it is possibly suitable. So M87 became a secondary target in the pursuit of Sagittarius A*. The M87 EHT image is unmistakable — a dark shadow the size of our solar system, writes Levin, enveloped by a bright, beautiful blob. Chandra X-ray image at the top of the page shows the innermost 10 light years at the center of our galaxy. 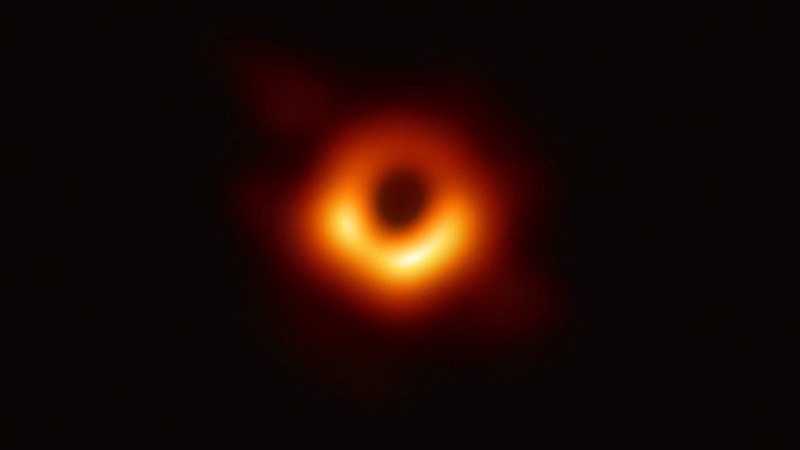 The image has been smoothed to bring out the X-ray emission from an extended cloud of hot gas surrounding the supermassive black-hole candidate Sagittarius A* (larger white dot at the very center of the image- a little to the left and above the smallest white dot). This gas glows in X-ray light because it has been heated to a temperature of millions of degrees by shock waves produced by supernova explosions and perhaps by colliding winds from young massive stars.